Decorate your Halloween table with DIY Faux Leather Snake Napkin Holders with dollar store supplies! Use B&W with pops of gold for a stunning setting. Hi there! It’s time for our first Halloween craft of the year. I love how this simple DIY is a little creepy but with the right table setting, super chic! I dug into my craft bin for free supplies! You can find them at your local dollar store. Dollar tree snakes spray painted black (from my snake wreath). Faux White Leather (left over from seat cushions). My handy dandy glue gun, cutting board, and box cutter. 3. Hot glue the ends of the material together overlapping about an inch. 4. Thread the plastic snake through the slits. To make them really pop, use white or a light color napkin! I love mixing everyday white dishes with our crystal glasses (my great grandmothers). You can find the tutorial for gilded pumpkins here. 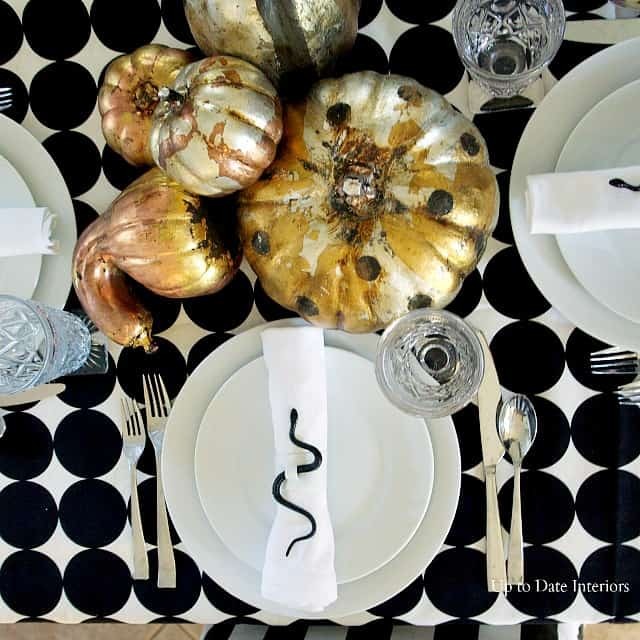 The black and white dotted tablecloth is just a scrap piece of fabric from my fabric bin. 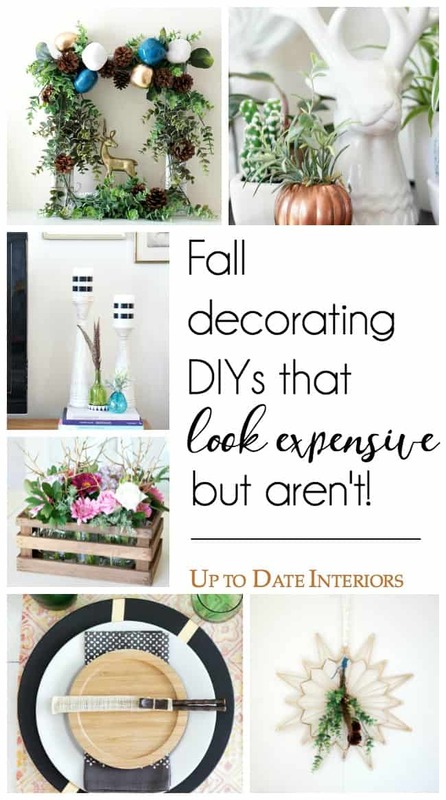 You can also use a light way throw blanket, sheet, or a bold printed wrapping paper for a table runner/tablecloth. Will you be having creepy crawlers at your dinner table? I hope you enjoyed this simple halloween DIY! Have you created anything lately? This looks great. I love how you decorated the table.